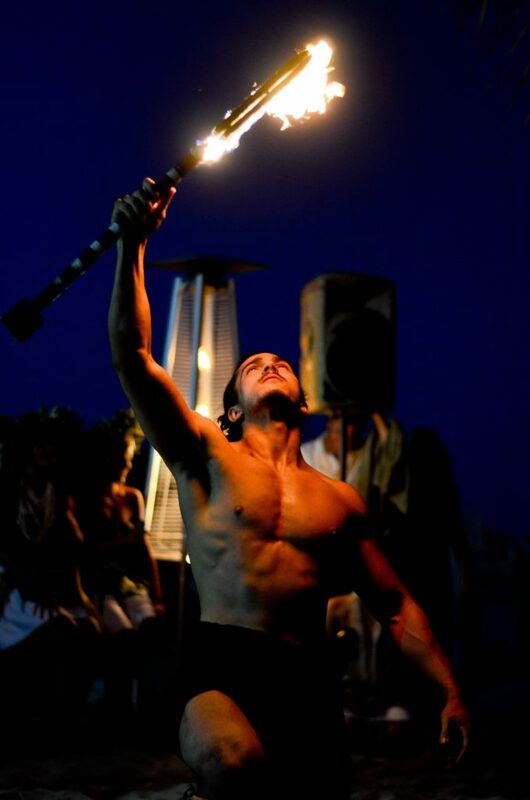 Feel the Heat as Sefo takes you to the Island of Samoa with the traditional fire knife dance. Our Beautiful Hula Dancers will mesmerize your guests with their graceful hands and swaying hips. Set the Ambience with the beautiful sounds ukulele’s playing Hawaiian favorites. The hottest in NJ, PA, DE & NY! Beautiful Polynesian dancers straight from the islands! 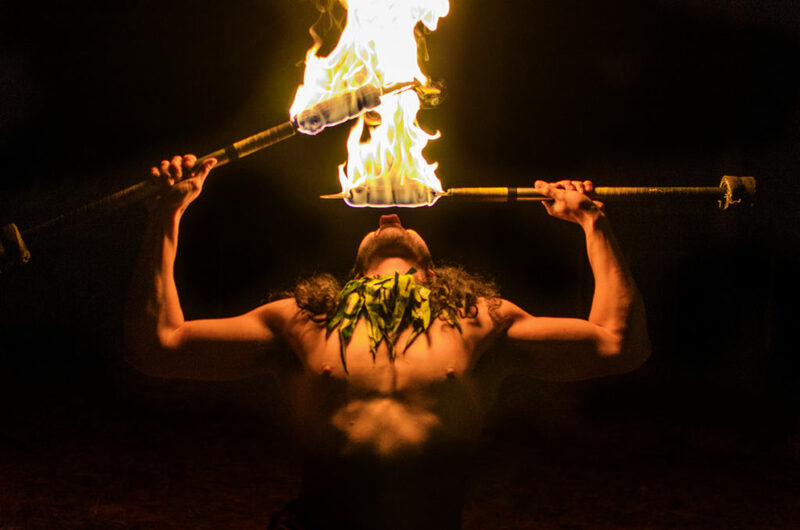 Our talented Hawaiian hula dancers from the islands, live musicians, drummers, and fire knife warriors, have been providing the most authentic Luau experience in the Tri-State Area for over 35 years! Check out our front page feature below to learn more about our background and story! Let us take your guests on a tour of the exotic Polynesian Islands, featuring dances from Hawaii, Tahiti, Samoa, New Zealand, and more! Set the Ambience with the beautiful sounds of ukulele’s, or a six-piece band to get the party started! 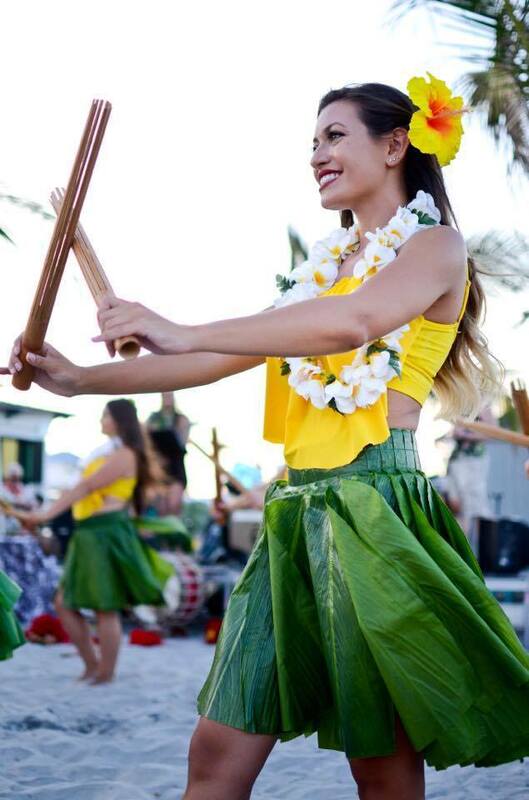 Let our beautiful dancers take you to Paradise with a Luau show like none other. Our stellar Polynesian entertainers will take you on a fast-paced island tour of the exotic islands of the South Pacific. 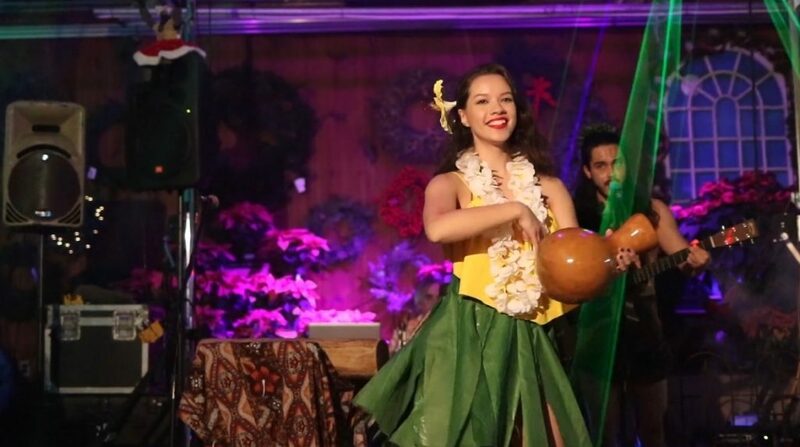 Paradise Island Entertainment will make your guests will feel like they’re at a top-notch Hawaiian Luau, just as if they were in Hawaii, with fun audience participation that will have your guests talking for years to come. 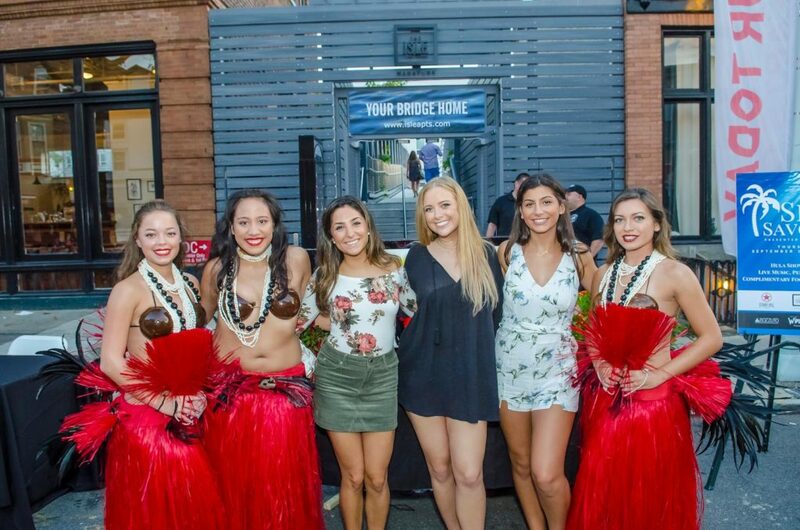 Whether you’re planning a luau for a birthday party, corporate event, graduation party, Hawaiian wedding, or just a “fun in the sun” back yard luau with family and friends, Paradise Island Entertainment will take your party to the next level! Want to see more? Check out our gallery of professional shots from performances, promotional contracts, and more! 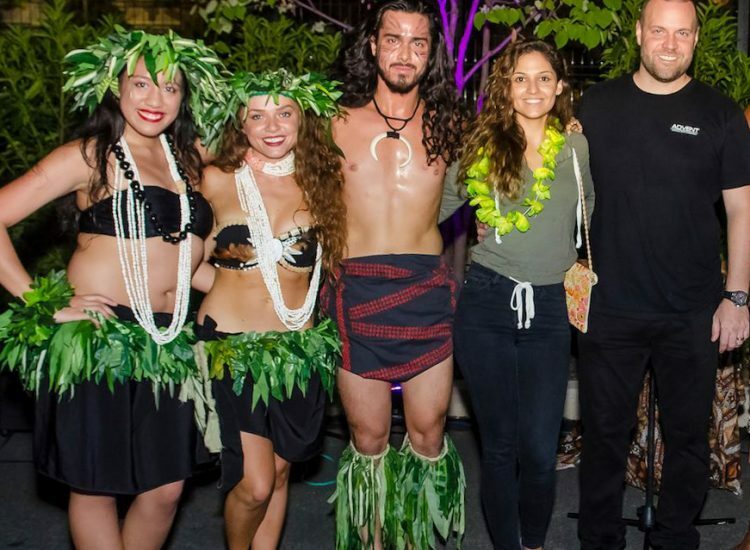 We recently had a Hawaiian themed 50th Wedding Anniversary Celebration, and as a surprise for my hubby, I hired Paradise Island Entertainment to perform. My hubby and the guests were in shock when the room darkened and the beautiful dancers entered to start the show. What an awesome program of so many Polynesian dances that it was hard to pick a favorite. Everyone was mesmerized and the crowd participation was so much fun. I highly recommend and would definitely hire them again. I have received so many comments from guests saying it was the best party EVER! Loved it! Awesome Luau show! Dear Carol and Tony, I would like to start out by saying Thank You so much for turning our backyard Luau, into something spectacular! 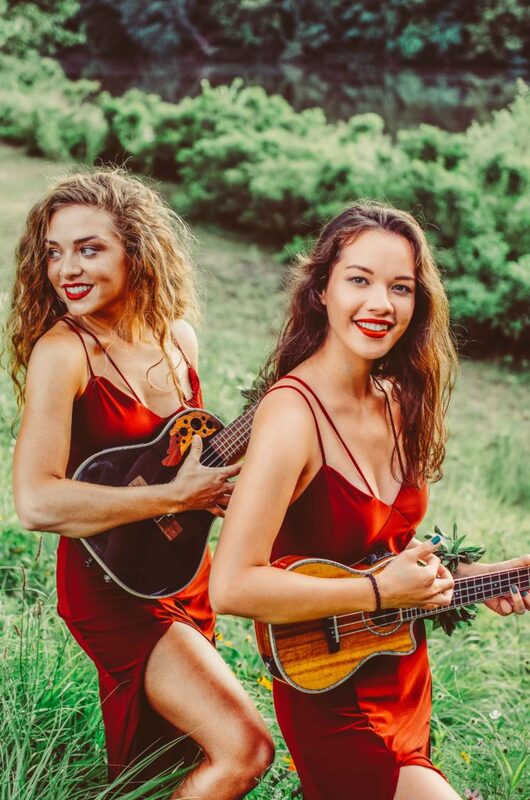 I have never written a review, but after seeing the performance from your Hula Girls, and the Fire Guy also, I decided that this show definitely needed a five star, two thumbs up, rating! We had 64 guests show up for my wife’s birthday, and the Hula Show was a surprise for her, and the guests too. I was amazed at how locked in to the performance my guests were! Everyone had smiles on their faces, and lots of laughs as we all joined in to learn how to shake our hips like the dancers! I really appreciate you guys taking the time to come out to my house prior to the party, to discuss what I wanted/needed, and then producing a fun filled, high energy, entertainment show, that exceeded my expectations! Once again, I would like to say thank you, and I will be recommending your company for any and all future Luau Shows! Dear Carol, Thank you, the dancers, the band, and Tui so much for making my 50th birthday celebration the talk of the town! I had a wonderful and fantastic time. Your entertainment was superb and my 100 guests had a blast. Received so many compliments like …We had a great time, we had a blast, it was fabulous, spectacular, awesome, fantastic, wonderful, amazing, fun and beautiful. My play mom said that of her 96 years of being on this earth, this was the best party she has ever been too. Another compliment, Lil sis, it was a blast. I have gone to quiet a few nothing compared… You guys and the best and Tui- The women melted to their knees. The men enjoyed dancing with the girls in their coconuts and grass skirts. One of my colleagues said she was laughing so hard her cheeks hurt : 0 ) God Bless Paradise Island Entertainment and keep up the great work!! Hi Carol, I just have to thank you for making the recent surprise party birthday party I threw, a huge success!! I planned a surprise 60th birthday celebration for my husband and invited over 160 guests. It was a formal affair at a beautiful hotel restaurant with cocktails, buffet style hor’ ordeurves and dinner. I hired a singer during the cocktail hour who serenaded the crowd. On the tables were tuxedo napkins, and elegant centerpieces. I had a video of his life and spent months preparing for this event. BUT…. your girls from Paradise Island were the special attraction. The floor rose with excitement as the girls were announced, who entered gracefully into the room. This was a total surprise to both my husband and my guests. your show was extremely professional, elegant and gorgeous with the breathe taking red and black feathered head dresses and skirts! You worked wit me on my program and mad this event exactly as I had hoped. We received so many calls and were told… “It was the party of the century”. To each of you girls and to Carol…. THANK YOU!! I would highly recommend this organization to any group. Top Notch!!! Dear Carol, Absolutely loved working with the Paradise Island Hula dancers! The dancers were wonderful, and really got the audience involved. Everyone left with nothing but great things to say! Also super easy to work with, and made my event planning so much less stressful! Thank you sooo much!! Brittany Mushinski Rutgers University “Carol…the show from beginning to end was absolutely fabulous. The hula girls were terrific. Their interaction with our guests was the best. They drew people out that typically do not crave the limelight — that was a whole lot of fun — to see them totally outside their comfort zone. The band was fantastic — their voices were off the charts. The set list was right on target and a wonderful blend of music for both young and old. You, on the other hand, on the violin — WOW!! I closed my eyes at one point, and thought Stevie Nicks was in my backyard. For days, our guests couldn’t stop talking about the performance. My husband and I highly recommend Paradise Island Hula to anyone looking for a “quality-plus” performance. On a scale of 1 to 10, we give you a 20!! Thanks for an absolutely wonderful afternoon”. Hi Carol, I just wanted to email you to say thank you from the bottom of my heart. Your show was awesome and worth every cent. The girls were beautiful and the costumes and dances were wonderful. Everyone enjoyed it tremendously and the party will be remembered for years to come. You gave our organization great laughter and joy in a time where it was needed the most. Here are some of the comments I am hearing: “Best party we have ever had in all the years here” “Why didn’t you guys do something like this before?” “I never laughed so hard till my stomach hurt” “Can we have them back next year?” Thanks for making me look good, lol. Everyone is thanking me for a great party. Dear Carol, Paradise Island was the hit at our reception. Your professional manner, amazing costumes and a talented crew made my wedding day something all my guests will remember. The Hula dancers were amazing, from the costumes to the talent level of the dancers-I was blown away. Your musicians were nice, friendly and of a caliber that I didn’t even expect! The finale, the fire candle dance to “The Hawaiian Wedding Song” was my favorite. What a way to end the evening. I would highly recommend Paradise Island to anyone looking for their guests to have a fun time. My Uncle Jim and my father in the coconuts and grass skirts, are the picture on our thank you cards we sent to our guests! Dear Carol, I wanted to thank you and the dancers for providing a memorable experience for my Cub Scout Blue and Gold Banquet. The show was very interactive with the boys, girls and even the adults. I was asked by my 4 year old granddaughter if we could do this again. If you are thinking about an event for the with kids in mind, this is a great way to go! We couldn’t have had a better Awards banquet if we tried thanks to the Paradise Island! Hi Carol, Just wanted to thank you again for such a lovely party. It was better than I ever expected. You and your entire staff were all very pleasant and organized. This event was very important to us. My mother in law does not have much time left and I was hoping she could have one more great party surrounded by family with lots of laughs. That you did for us. To watch her smile all night gave me so much peace. My husband said it was his best party ever. People were calling me all the next day to tell me what a blast they had. You guys were really awesome!!!! Thanks for being wonderful people. We will definitely be using again one day and will highly recommend you. Peace, laughter, and love to all of you. Dear Aloha Team, Absolutely Awesome!! Our guests had a great time. The girls were outstanding and got everyone involved. People are still talking about this event and will be for months. I wanted to personally thank everyone at Paradise Island for making my job as host an easy time. I will definitely call you for parties. Again, OUTSTANDING!!!! Carlo Petrillo Eagleville, PA Carol and Company, Wonderful change of pace. Nothing but compliments on the change of pace from the same old wedding from our guests. The band and the Hula dancers had people who are normally wallflowers dancing. I’m pretty sure I saw my grandfather rocking out in his wheelchair. It was exactly what we wanted and more for our tropical infused wedding. My grandmother was lecturing me prior to the wedding on how hula dancers wouldn’t be appropriate. After dancing all night with them, she pulled me aside and said, ” I take it back, this was great”. I can’t thank you guys enough. My family loves you, Sabina and I love you, and we hope to hang with you in the future. Dear Carol and Company, It was so much fun having you entertain our guests. The band was simply superb and the dancers with their costumes took our breath away! You were right in that you really know how to entertain the crowd. You were amazing with the violin. I know that we have guests already interested in hiring your team! Thanks a bunch again. You guys were amazing! 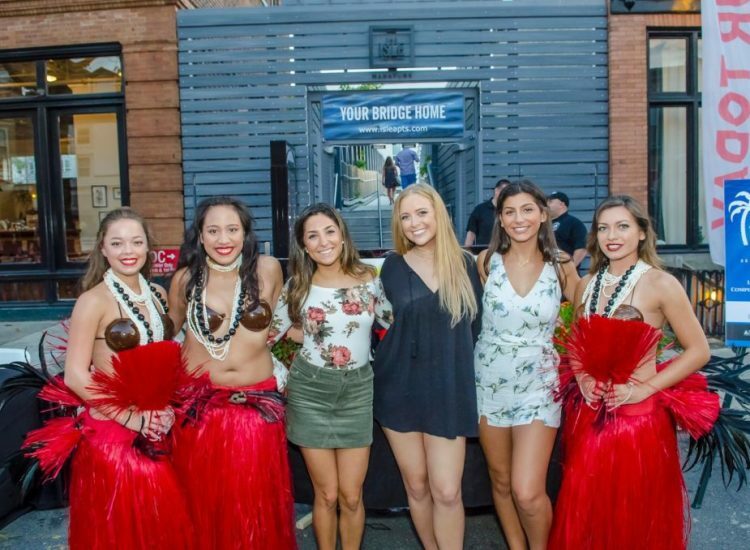 Venjie and Vicky Largoza Bryn Mawr, PA Hi Carol, Just wanted to drop you a line to let you know about the RAVE reviews we have been receiving about our recent Luau. The guests had an amazing time, and are all commenting about what a fun party it was – despite the rain! Thank you for all your efforts in making it a resounding success! Your guests will go wild once the men get their coconuts on! 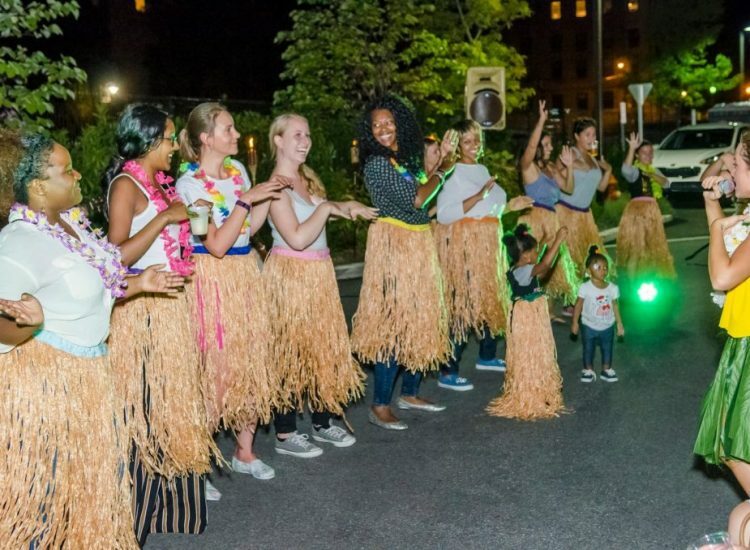 No matter the size of the party, get ready to learn how to hula! includes 1 to 2 Polynesian Dancers that will take you on a journey through the islands of Polynesia! This package is great for small luau parties. 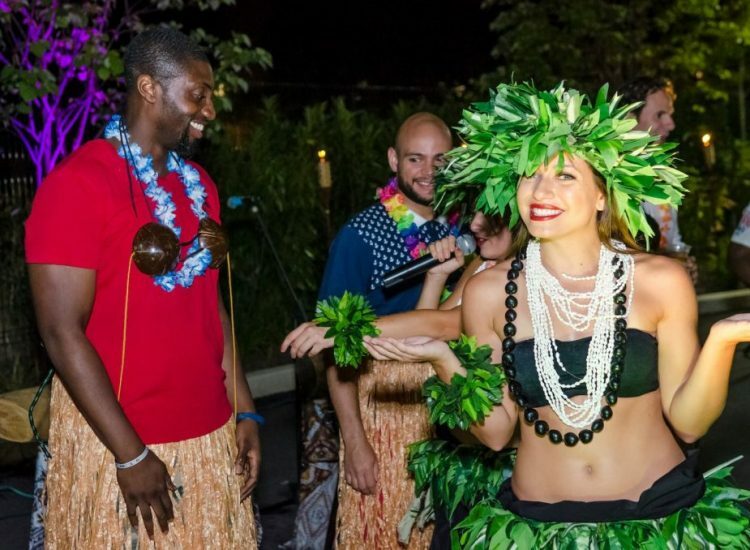 Your guests will still enjoy lots of fun luau audience participation! includes a Polynesian show with 4 to 5 amazing multitalented performers. 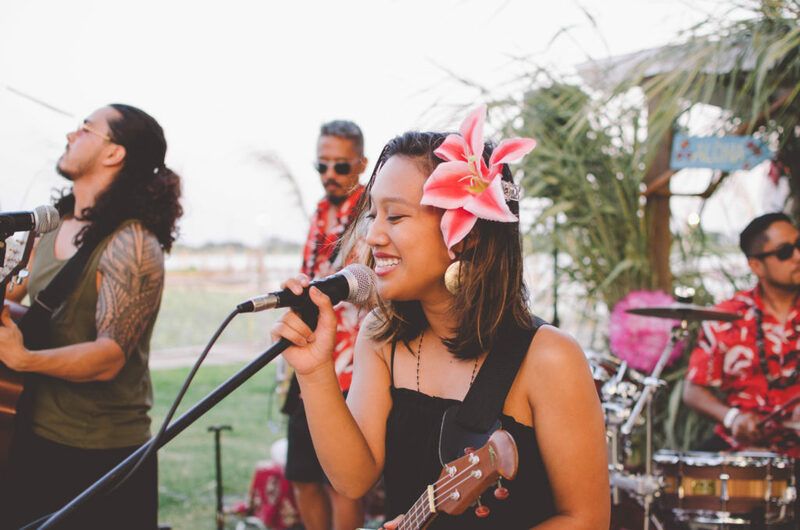 This package works great for smaller venues with just a few dancers and musicians taking you on an exotic tour of the mystic islands of the South Pacific. 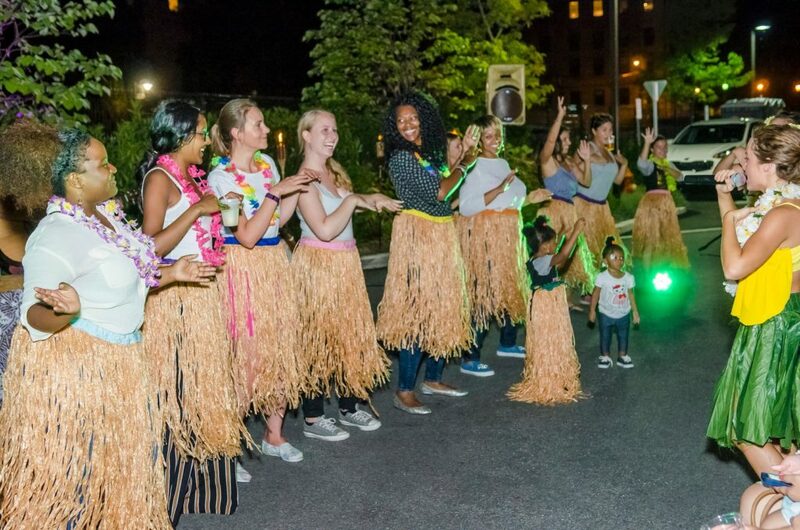 Oh and don’t worry, we’ll still dress up your guests in coconut bras and skirts and teach them to hula! If you really want the “Wow factor”, this is the package for you! In this package, you’ll get our full Polynesian show with 7 to 8 amazing multitalented performers. Enjoy breathtaking dancing, professional lighting to set the mood, and captivating live music by the Paradise Island Band. 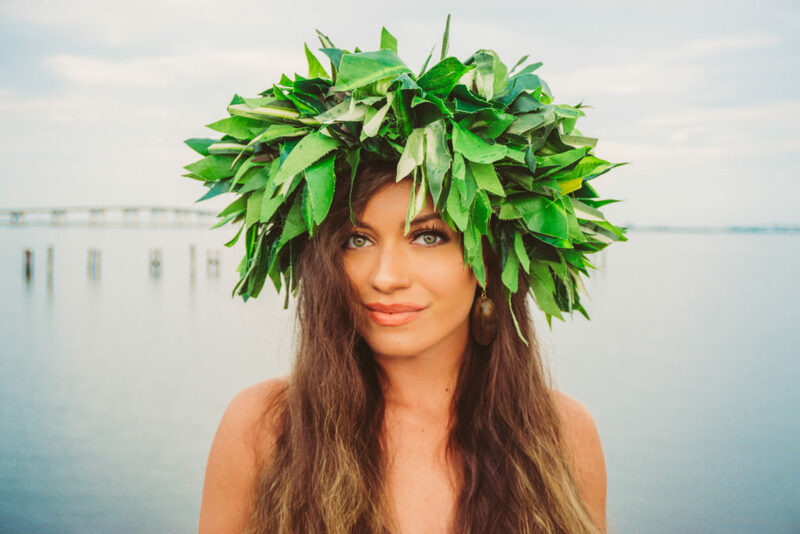 Of course your luau wouldn’t be complete unless your guests learned to hula dance and to make it more fun, we provide grass skirts and coconut bras for your guests to wear! This package will make you feel like you’ve taken a trip to Hawaii!